Final Eve was formed by high school friends Ben Lawrence and Corey Friedlander in 2004 after meeting up with vocalist Drew Reid. After unsuccessfully trying out several bassists and rhythm guitarists, the band proceeded to play shows around Auckland city as a 3-piece. The shows were well received, and shortly after Final Eve were able to recruit second guitarist Sam Jolly from the experimental rock band Grenade Kills 3, which opened up many new songwriting possibilities. The songs were restructured, and the band continued to play shows without finding a bassist who could fit the part. A 5 track E.P was recorded in January 2006, but was not released due to insufficient funds at the time, and is yet to see the light of day due to vocalist Drew Reid leaving shortly after. Sam Jolly followed two months later due to musical differences, forming a new band with Ben and Corey. 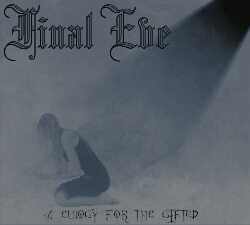 In mid 2006, classical guitarist Josh Indyk was asked to join on bass, creating new sounds and dynamics for Final Eve. The band is currently busy concentrating on side projects and writing new material.